Weckerly’s ice cream uses our amazing heavy whipping cream to make their ice cream taste so rich. Each week organic cream from grass-fed cows is brought in from Seven Stars Farm in Chester County. Combined with free-range eggs from Sandy Ridge Farm and just enough sugar, this forms the custard base that defines Weckerly’s Ice Cream. 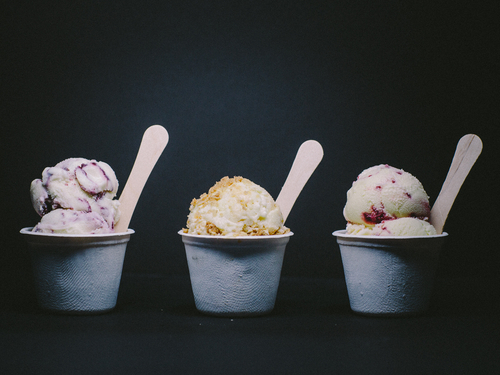 Every flavor is built with a unique recipe and is made completely from scratch, never using a pre-made mix. This means that fresh heirloom blueberries can be their brightest; the changing varieties of mint each have their moment to shine; and all the while we never lose touch of the comforting golden cream.